I had a LOT of unexpected free time this weekend so my husband and I took advantage and tried out several new recipes, all of which were really delicious. This side dish (which I found at Boulder Locavore) was one of the simplest, but sometimes the easiest dishes are just as tasty as the labor-intensive ones! 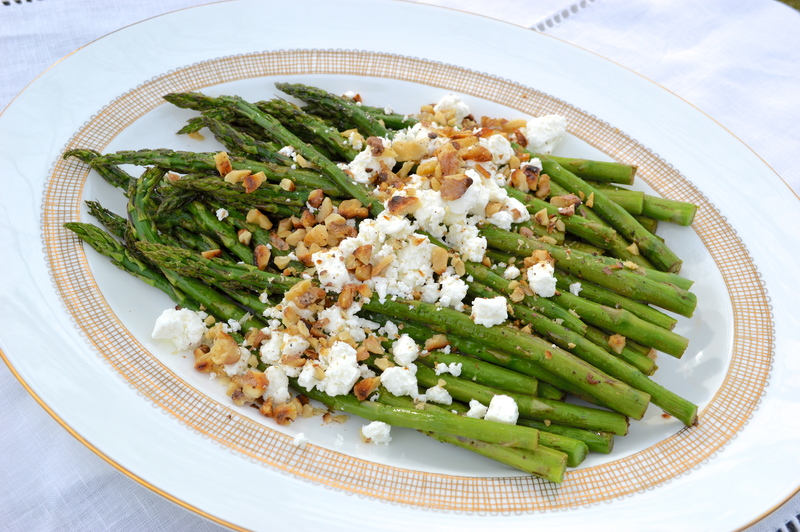 The asparagus is roasted for a short time at a high temp, brushed with balsamic vinegar and then topped with toasted walnuts and goat cheese. It’s the perfect thing to add to your weeknight meals when you’re not sure what to throw on the side. 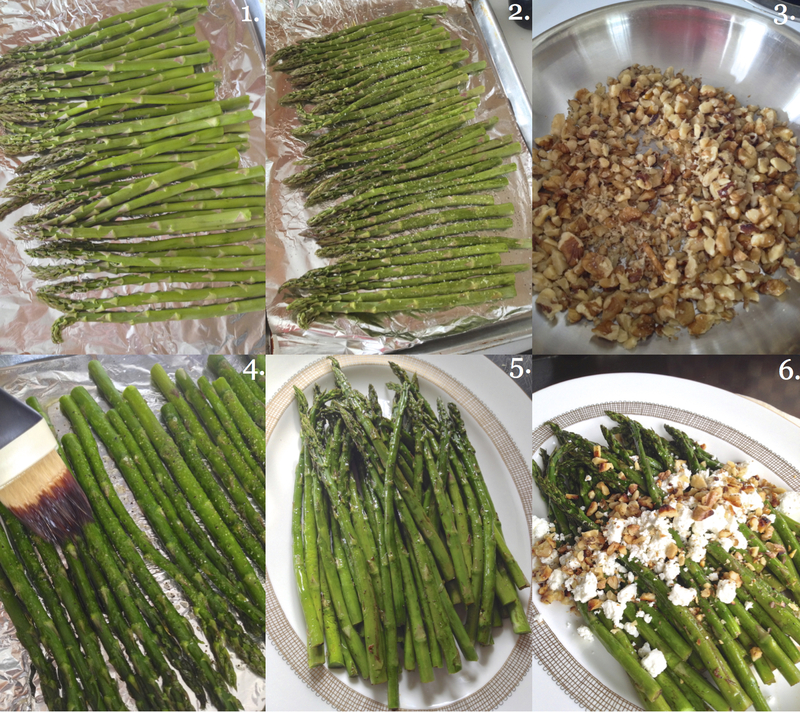 Not only can you make it fairly quickly but asparagus is so inexpensive this time of year! Adding the goat cheese and toasted walnuts really kicks it up those extra couple of notches making it perfect anytime! I followed the steps from the original recipe, found HERE, and you can follow along with my pictures below! You won’t be disappointed and switching to hazelnuts will be fantastic! Very simple and very delicious – lovely, Danielle! Wow that looks so good. Great idea for a side dish. Thanks, I love that it’s super quick and easy! You can’t go wrong with that combination can you? Beautiful. I agree, I love asparagus so I am a sucker for anything involving it!